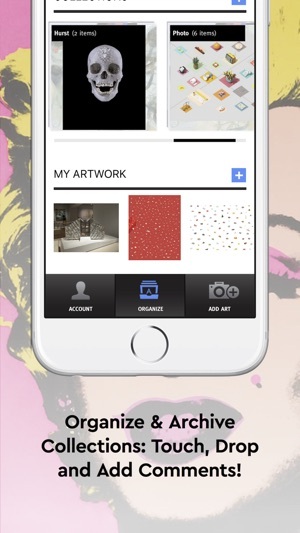 ARTDEX App is a convenient art digitizing “tool” to help organizing your art collection. At home for those paintings on your wall or on-the-go to art fairs and museum visits. Your digitized artwork on ARTDEX App will not get mixed with hundreds of your holiday and family photos! 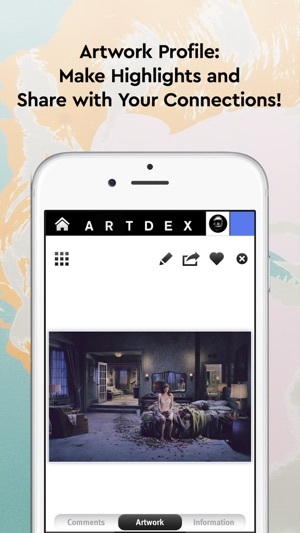 Artwork photo images taken from your ARTDEX App get deposited directly to your ARTDEX folder. You can then efficiently organize them by a quick “touch and drop” to each collection folder, and maintain your personal archive - i.e. Frieze Art Fair 2015, Orchard Gallery Show, Pratt Student Exhibit 2015, Shanghai Contemporary Museum, etc. etc. 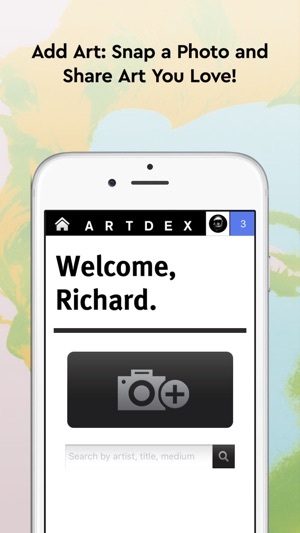 ARTDEX offers web and mobile based art collection archive & management tool and professional social network combined platform, providing an easy-to-use and social forum, to create and share digital art inventories of both physical & virtual art collections. 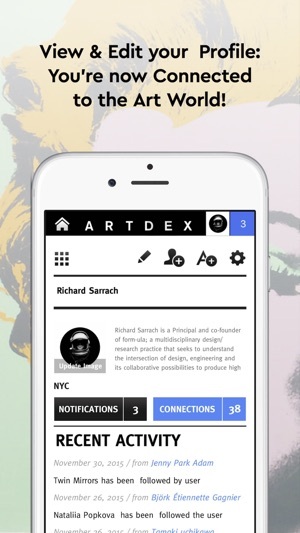 ARTDEX.COM platform connects a global community of artists, collectors, curators, and all levels of art professionals and art enthusiasts, beyond geographical barriers and existing commercial art sales channels, to share undiscovered art, valuable art information, and inspirations with one another. *Account: First sign up on ARTDEX.COM and create your profile. 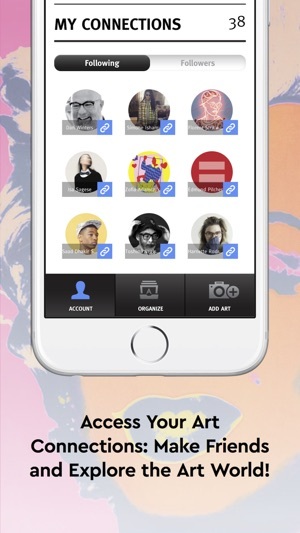 *Organize: Create a new folder “+” to organize your art images as easy as “touch and drop”. *My Connections: View and manage who you’re currently following and who your followers are. Invite your friends and contacts to join your art circle and share artwork and inspirations.